Thinking about taking a vacation to Scotland this year? Well, certainly don’t miss Edinburgh and the Highlands, but also consider finding time to visit any of the many fabulous public gardens that grace the Scottish countryside. And if you need suggestions, having been to Scotland several times, I can provide a starter list. 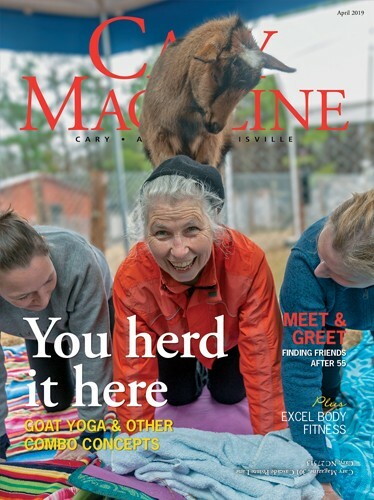 However, it is really hard for me to settle on just a few gardens, but for the sake of conserving a lot of magazine space, here’s my ol’ college try. Culzean Castle, nts.org.uk/Visit/Culzean-Castle-and-Country-Park. Towering over the Firth of Clyde on the southwest Ayshire coast, Culzean Castle is a status symbol of proper high Scottish privilege and power, but its gardens show that (ahem) Gaels just wanna have fun, too. Sure, the orderly grace of the Fountain Garden and terraced borders close to the castle are impressive formal landscapes, but take a short walk to the large Walled Garden, and you will find an enjoyably eclectic flower-fest where perennial and annual blooms mix, match and meld into a pleasant anarchy of complementary and competing colors. In addition, Culzean’s 560-acre Country Park is laced with trails that guide visitors through its small part of the natural beauty that is Scotland. Cawdor Castle, cawdorcastle.com. 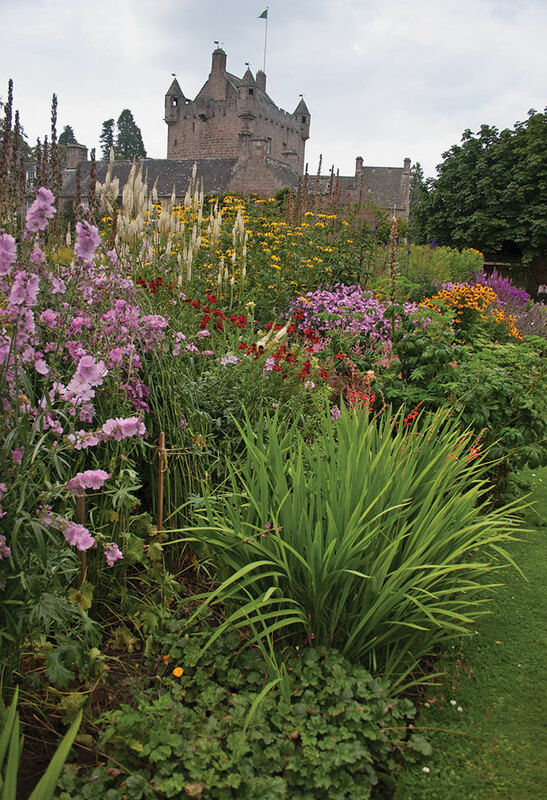 Just 10 miles east of Inverness, Cawdor has a lot to offer touring gardeners. With a castle that was started in the 1300s as a backdrop, its cozy 17th-century Walled Garden brims with wondrous plants, while the 18th-century Flower Garden is similarly guaranteed to keep heads turning. Wander into the Wild Garden, an informal setting that blends well with the five nature trails winding through the estate’s 750 acres of woodlands. In addition, although a half-hour walk from the castle, don’t miss Cawdor’s Auchindoune Gardens with its unusual collection of Tibetan plants. Drummond Castle, drummondcastlegardens.co.uk. Lavish, living elegance awaits a half-hour drive north of Stirling in the form of Drummond Castle’s gardens, which date to the early 17th century. 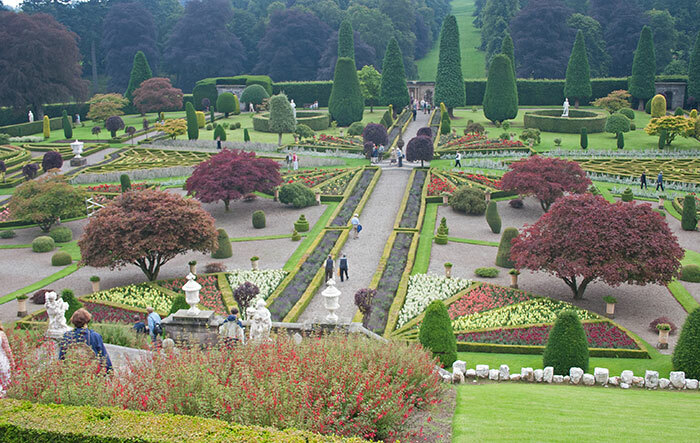 This Italian-style showcase is considered Scotland’s finest — and largest — formal garden. With a 15th-century tower and 400-year-old mansion in the background, the terraced gardens of Drummond spill down and fan out in a state of regal order, as meticulously sculpted shrubs and trees vie for attention with precisely groomed, fabulously flowering planting beds. If you ever wondered what it is like to garden with the Scottish upper crust, Drummond Castle is your answer. Leith Hall, nts.org.uk/Visit/Leith-Hall. Located 33 miles northwest of Aberdeen, Leith Hall is proof that the best Scottish gardens don’t have to be the biggest. Covering six of the 286 acres on the estate, this garden is a beautiful, busy delight. Colorful perennials flow along the many walls that segment planting areas, while a large, mounded rock garden embraces a trove of horticultural treasures. 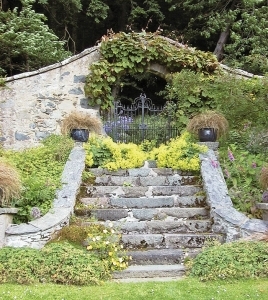 However, the best Kodak moment is this garden’s Moon Gate, which looks like it fell out of a fairy tale. The manor, built in 1650, is also open to the public, and its fully furnished, ornate interior definitely has the feel of a Scottish Downton Abbey. Dreams of Scotland have you yearning to introduce Scottish thistle into your garden? Yearn not. The two plants most often associated with the national symbol of Scotland are Onopordum acanthium and Cirsium palustre. Although not commonly seen in our region, both are regarded as invasive on this side of the Big Pond by the USDA. 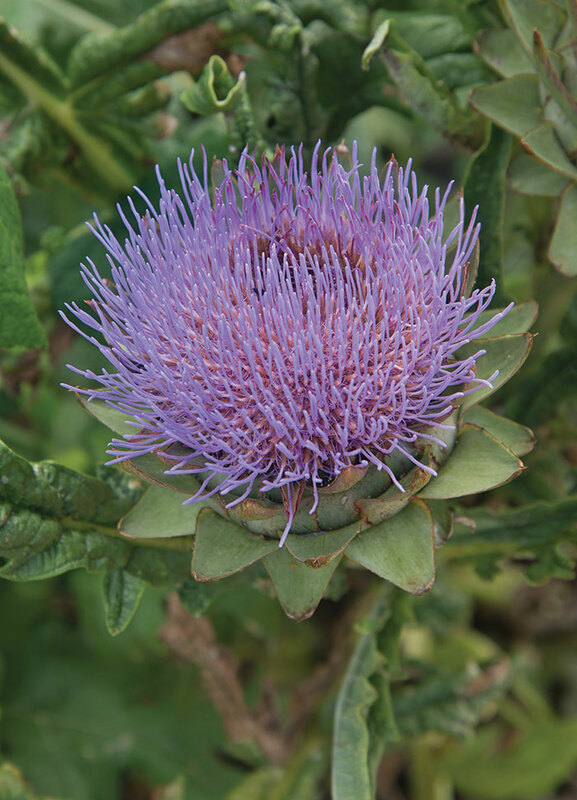 As a more hospitable, look-alike alternative, check out their close cousin cardoon (Cynara cardunculus) — an herbaceous perennial (also called “artichoke thistle”) that will readily show off typical Scottish thistle-like puffballs of pretty, spiked, bluish-purple flowers. If planted in a sunny site that has excellent drainage, cardoon will settle in well to Cary gardens. If your local, friendly garden center doesn’t carry cardoon, it is an easy find online, and Plant Delights Nursery in Raleigh offers it. 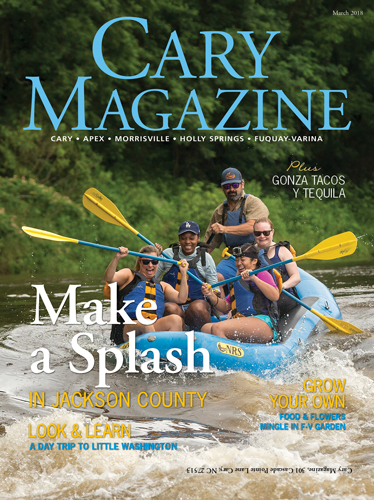 Bulbs such as daffodils, spring starflower, species tulips, hyacinths and crocus can naturalize in Cary gardens, but they will become established faster if their leaves are allowed to fade from green to brown before being pruned. Can’t wait to get growing in the veggie patch? Early this month, break out the plants and seeds of cool-season vegetables such as lettuce, kale, onions, spinach, sugar snaps and radishes. The middle of the month is prime planting time for beets, broccoli, cauliflower and Chinese cabbage. While mulch is a beneficial addition to garden beds, hold off on covering areas where late spring and summer annuals will be grown. Leave the ground bare to the sun until early May so the soil temperature will rise to a comfortably cozy level for heat-loving seeds and young plants. After disconnecting the spark plug on your lawn mower, check its blade for warps, cracks or deep indentations. Also, examine the spark plug, and if the ignition tip is blackened or heavily corroded, buy a new plug. The water garden will be waking up this month, so start adding light amounts of fertilizer about every five to six weeks around marginal plant pretties like colocasia, sweet flag, papyrus, spike rush rose mallow and cardinal flower.